Here I am, helplessly stuck a couple hours away from my house, and I had to wait until this morning for Mike to sent me a photo of the stained floors because he can't reach the light switch and so the rooms were all dark when he got home from work yesterday... boo. And now that I've seen a photo, I can't decide what I think. They look lighter than the sample I think. I'm not sure if it's the light or Mike's phone's camera, or if I'm going insane. I am officially reserving judgement. Today's photos were taken at 8:00 on a west facing window with no lights... and the sample was midday with lights on. Someone hold me and tell me it's all going to okay? (hug) its gonna be alright. I really hard to tell in the light if it is lighter or not but I think they are going to look great either way. It looks to me like perhaps not all parts of the floor are going to be as dark as the sample but some look like they will. I have faith that they are going to be gorgeous either way. Besides once the clear coat is on (which I am assuming it is not) it will look much richer and bring forth the colour better making it apear darker. it'll be fine and you'll LOVE it! you'll be surprised at the difference between before and after. I've gone through it, been there. 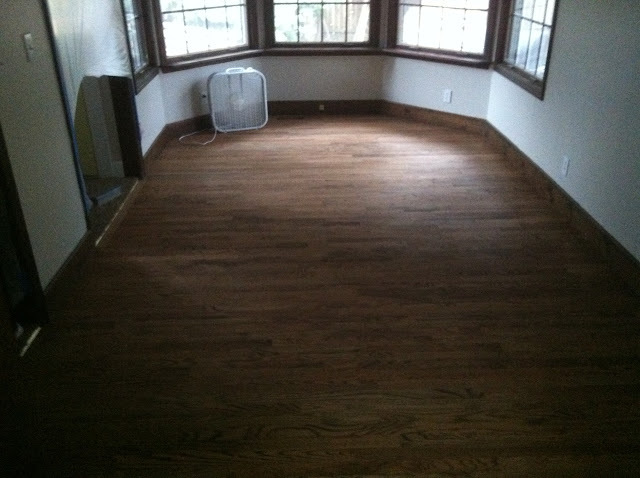 Love my "old" hardwoods now! We have the orange-y stained floors in our house (complete with matching doors!). We've learned to love them (for now) but at some point over the years we may change it up... who knows. I like them. Not too dark... not too light. Looks like a color we would love! 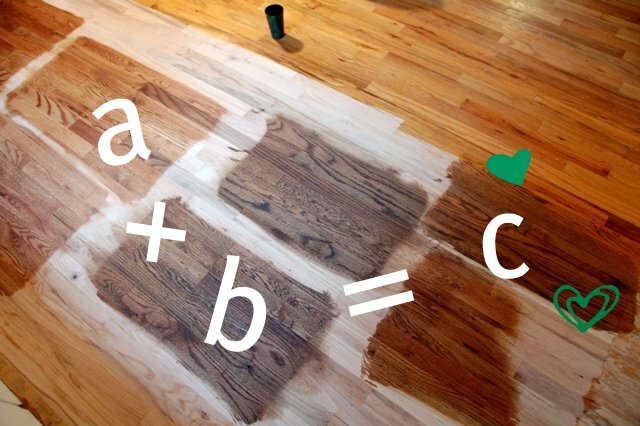 Choosing a floor means, we have to be more smart. 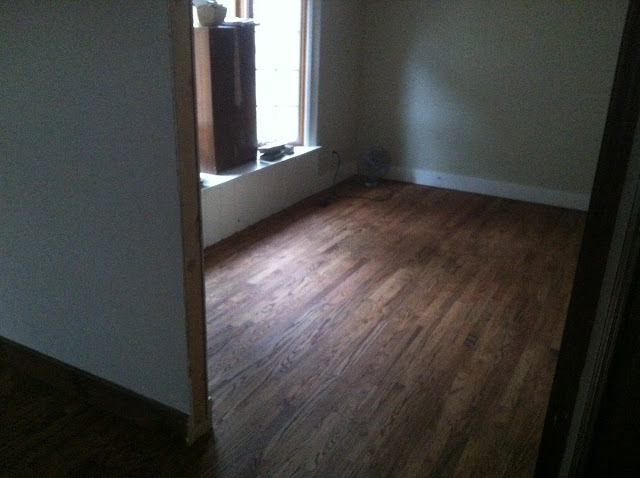 Especially when we choose flooring, we should take expert advice and be wise with our budgets. In most of the cases, wooden flooring are the first ever choice for flooring as it require less maintenance, therefore, people are installing wooden floor in their home.